2 Years After Legalization In Colorado Are Opinions Changing? Colorado pioneered the recreational marijuana industry in 2014 with tremendous support. But are opinions changing in the state? If you’ve lived in Colorado for the last 2 years, you might take marijuana legalization for granted. To someone that is just visiting or recently moved to the state, the pro-marijuana atmosphere can be shocking. Downtown Denver is littered with dispensaries and even people who are casually toking up- FYI smoking in public is illegal. Though it may seem like a stark cultural contrast to someone from a state that is still enduring prohibition, marijuana legalization is a fact of life in Colorado- a fact that is supported by the positive opinions of the voters. The marijuana industry in Colorado has been thriving for years. First, in 2009, Colorado voted to adopt a dispensary model for medical marijuana. Then in January of 2014, Colorado allowed licensed dispensaries to begin selling recreational marijuana to people 21 years and older. Along the way, there were hiccups. Stories of children getting into their parents’ stash, drug cartels controlling certain dispensaries, and even the occasional “dog ate my weed” story. But overall things have been pretty smooth in the post-legalization society found in Colorado. Of course, there are certain coalitions who continue to fight to repeal marijuana legalization in CO, but, in general, support remains steady. However, instead of traditional arguments against marijuana legalization, there are new apprehensions emerging. Legal marijuana is very lucrative for both store owners and tax collectors. As a result, marijuana companies are now able to donate to causes that they want to support- but what if potential recipients of marijuana money are reluctant to associate themselves with weed? The reluctance of certain non-profits to accept money from marijuana companies shows that while the general voting consumer may support marijuana legalization, companies are still nervous. The irony is, that many of the president’s and/or directors of these non-profits are full supporters while at home, but when they are in the office they must tow the corporate line. Maintaining a neutral to anti-marijuana stance allows these non-profits to remain attractive to would-be donors who are certainly anti-marijuana. 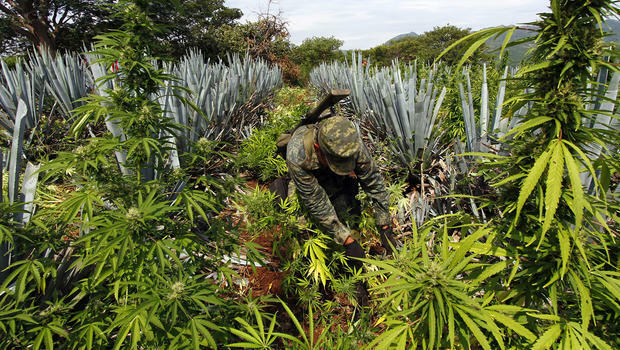 Since Colorado legalized marijuana, there has been an estimated 70% decrease in the amount of Mexican drug cartel activity with marijuana trafficking. However, authorities are suggesting that this is because Colorado provides a “safe haven” for illegal cultivators who ultimately transport the marijuana out of the state. But is this criticism really representative of a change in opinion in the minds of CO’s voters? I went to the Denver Broncos Super Bowl Parade recently in the heart of downtown Denver, and I took the opportunity to ask a few strangers what they thought about the idea of smuggling weed out of Colorado, as it relates to drug cartels. I asked a few other folks and their opinions were largely the same. It’s an air of indifference that surrounds legal marijuana. People see the benefits, but as always are more concerned about the risks. We are human after all. The marijuana industry in Colorado is here to stay, but the laws are constantly changing. Who knows what scheme the government or authorities will come up with next to “control” what they see as a problem. What is your opinion of marijuana legalization in Colorado 2 years after recreational dispensaries opened? Let us know on social media or in the comments below.